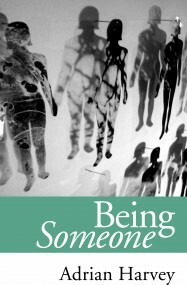 Earlier this year Adrian Harvey’s debut novel ‘Being Someone’ was published by Urbane Publications. 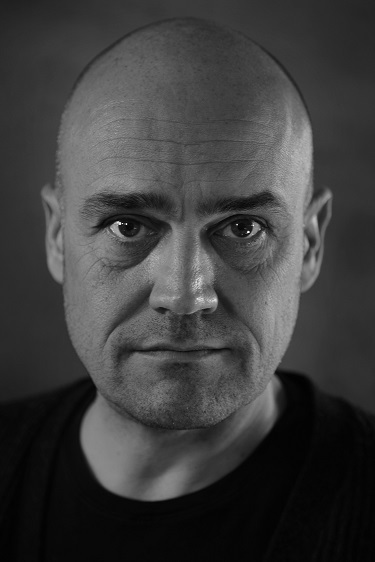 Below is a lovely blog post by Adrian in which he explains where he got his inspiration from when writing this book. Inspiration comes from many places and in all shapes and sizes. In my case, it came from India, in the hefty form of an elephant. That elephant was long dead, and I never had the chance to meet him. It also turned out that he wasn’t even real. But his story was the starting point of my novel, Being Someone. Quite literally, in the sense that a version of it became the first chapter, but the elephant was also the inspiration for everything that followed. The elephant, who I called Iravatha, was both the starting point and the frame for the novel, and he keeps poking his very long nose into the story. In the book, the story of Iravatha is told to the narrator in a little park in the middle of Mysore and, to all intents and purposes, it is the same story that was told to me a little park in the middle of Mysore, some seven years ago. Essentially, it is an Indian version of the story of Greyfriar’s Bobby. If you don’t know the story, it’s the ‘true’ story of a little dog – Bobby no less – who keeps returning to the grave of his dead master in an Edinburgh church yard. There’s a Disney movie, made in the sixties, about the tale. It’s very touching. When I got back to London I checked and there was no Iravatha. The boy I had met in Mysore had been telling stories, conflating bits and pieces of truth to create an impression, an effect. And it worked; I liked it. But what attracted me most to it was the ambiguity in its apparent simplicity and honesty. You see, there is an account of Greyfriar’s Bobby that suggests that, rather than a heart warming account of loyalty and enduring love, it was simply a wheeze dreamed up to attract tourists to Edinburgh and in fact – a little like Lassie – a number of different dogs played the role over the years. Other versions suggest that ‘Bobby’ was just one of a number of stray dogs that hung around the cemeteries of the city, waiting for the highly emotional human visitors, who would feed them. Now, the relationship between a mahout and his elephant is deep, often lifelong. But it is also complex and problematic. Mahouts are seldom entirely kind to the animals they train and tend and, as we know, elephants have very long memories within which to hold their grudges. I started to play with the layers of truth that might be bound up with my elephant story and, for some reason, this ambiguity made me think about a marriage. So Being Someone became a love story: a man – let’s call him James – and a woman – let’s call her Lainey – fall in love; they get married, and then things happen, as things so often insist on doing. Since escaping the East Midlands to find his fortune in the big city, Adrian Harvey has combined a career in and around government with trying to see as much of the world as he can. He lives in North London, which he believes to be the finest corner of the world’s greatest city. Being Someone is his first novel.